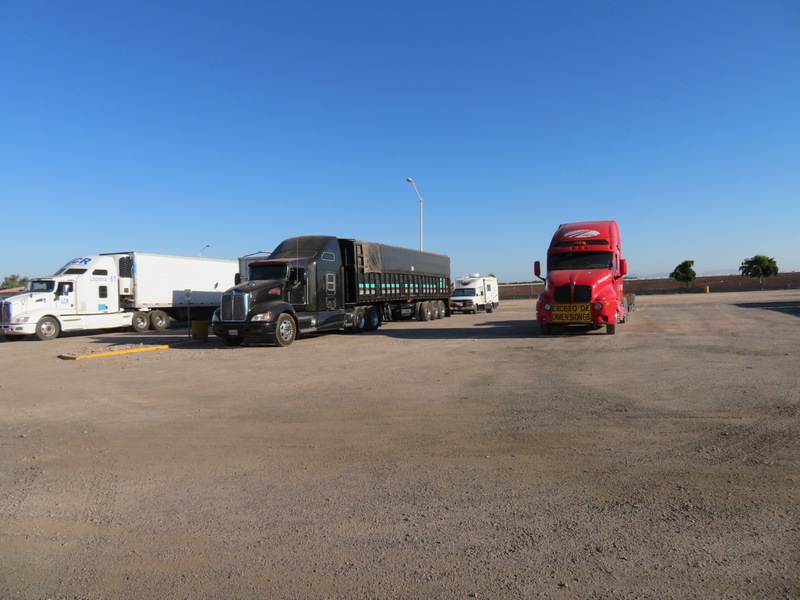 We took our time this morning because we didn’t want to arrive at the truck stop too early and hang around in the dirt lot all day. I left the dogs inside to see if I could sneak up on the deer and get a picture. I saw two, but man they are quick. They blend in so well you only see them when they run away because their tails are white and fluffy. 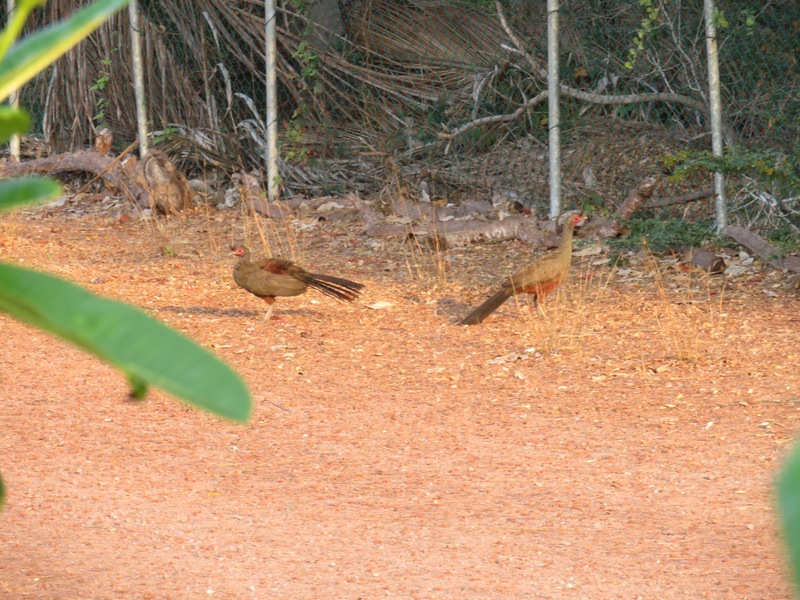 The chakalacas ruled the park, calling raucously to each other in the trees. 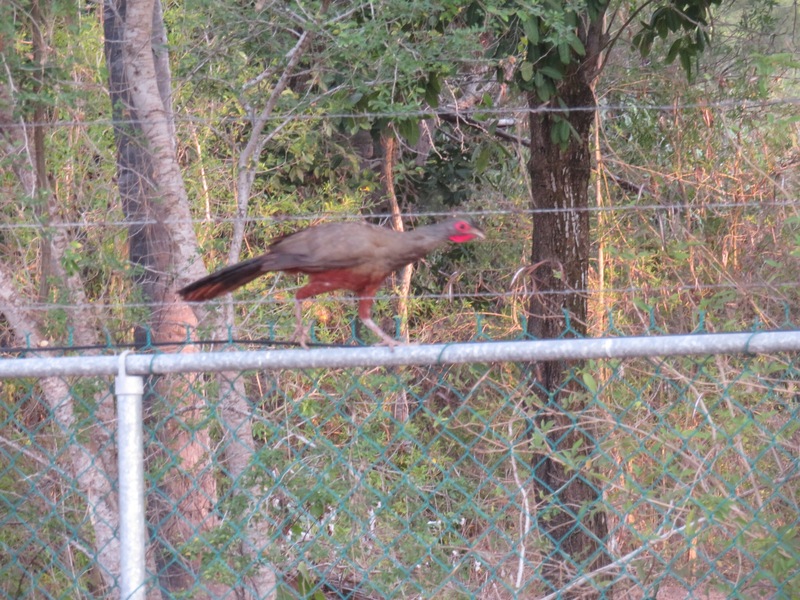 The video is not so good, but you can hear the racket the chakalacas make in the morning. After walking the dogs, we sat in the shade and ate breakfast, reading and doing a crossword puzzle. Then I went over to the Kiosko and bought some shaving cream. With a semi warm shower and a shave, I was feeling pretty spry. Broke camp and was on the road around 11:00. Long boring drive through the farming area of Sinaloa. Kind of reminds me of Bakersfield, hot dusty and brown. We took a break at a rest stop next to a toll booth. There was an old guy foraging in the trash looking for food so I gave him a package of crackers and a cold water. We didn’t tarry long. Just putting in the hours behind the wheel. 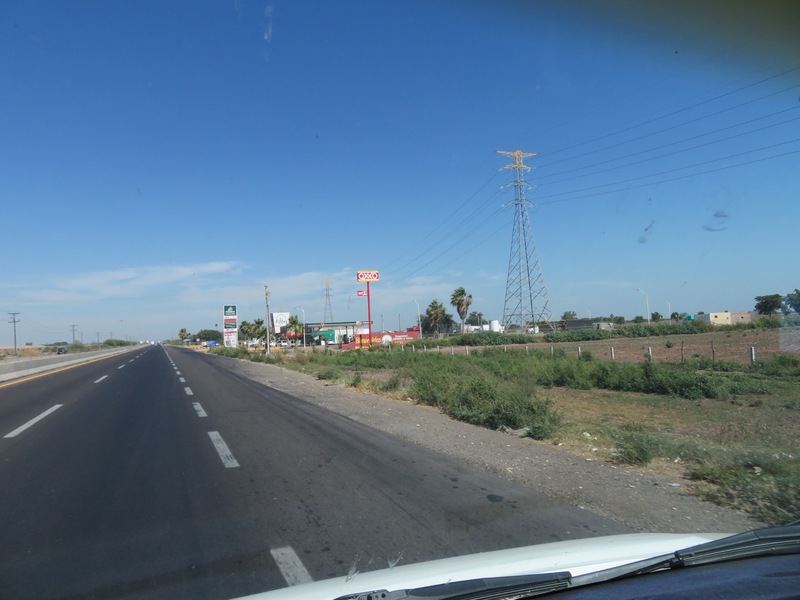 The road between Culiacan and Los Mochis was rough in a few places, not full on craters but potholed enough to make driving in a motorhome uncomfortable with things banging and shifting around inside the rig. I spotted the Restaurant Elba at Km 192 and had to go a mile or so past to come to a u-turn to come back around. 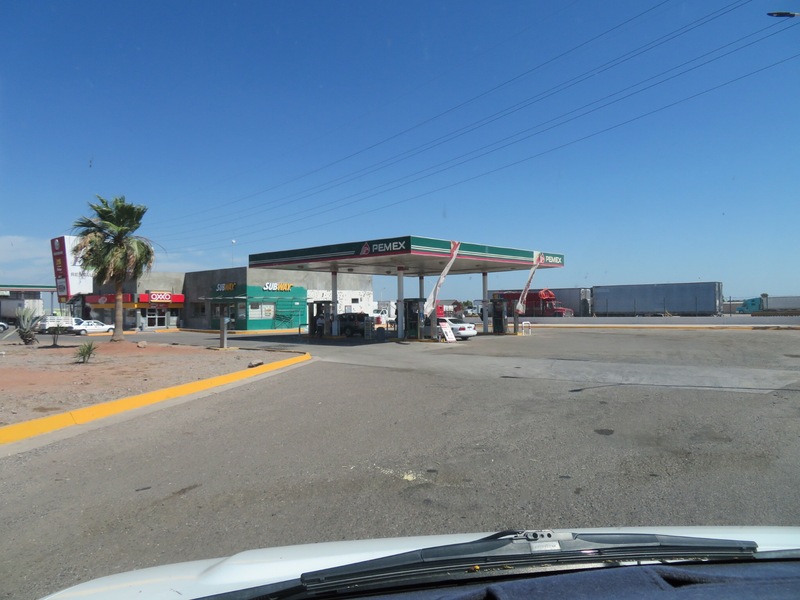 Gassed up at the Pemex then drove into the big dusty lot and hid myself behind a big truck. The girls and I took a tour around the compound sinking into the fluffy soft dust that is layered about an inch deep over the hard surface. Like powdered sugar. I talked to a couple of truckers who were polishing their rig. Totally tranquilo here they assure me. 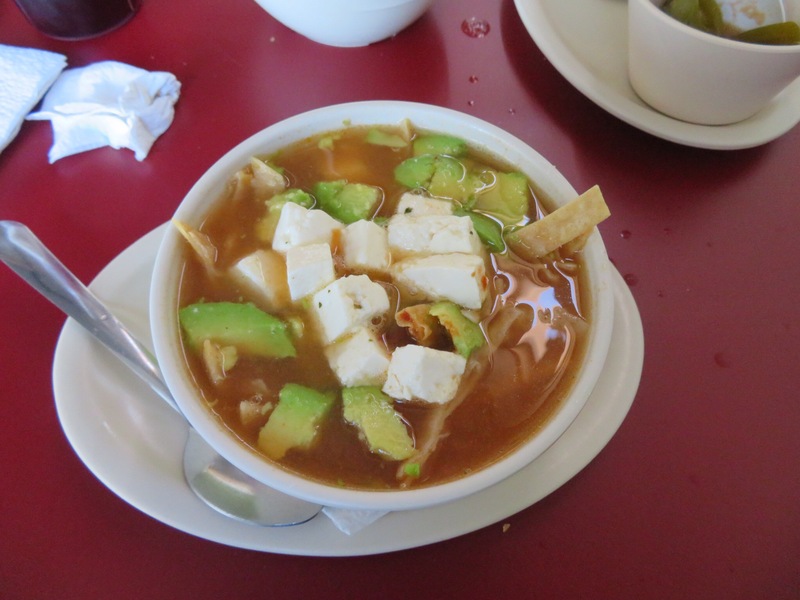 Not like the one up in Los Mochis. Which one, I don’t know, but if it’s not tranquilo, I’m glad I’m not there. 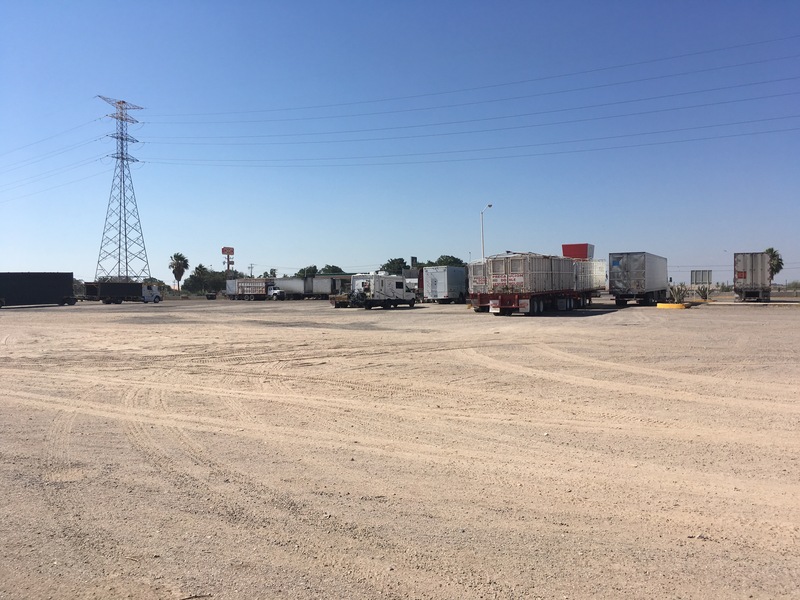 The lot is located at Pemex #4925 just south of Los Mochis at Km 192 with a Subway, an Oxxo and Restaurant Elba on the premises. The entry gate is on the south side. They have showers if you need one. I figure to go organic and hold off until Totonaka tomorrow. 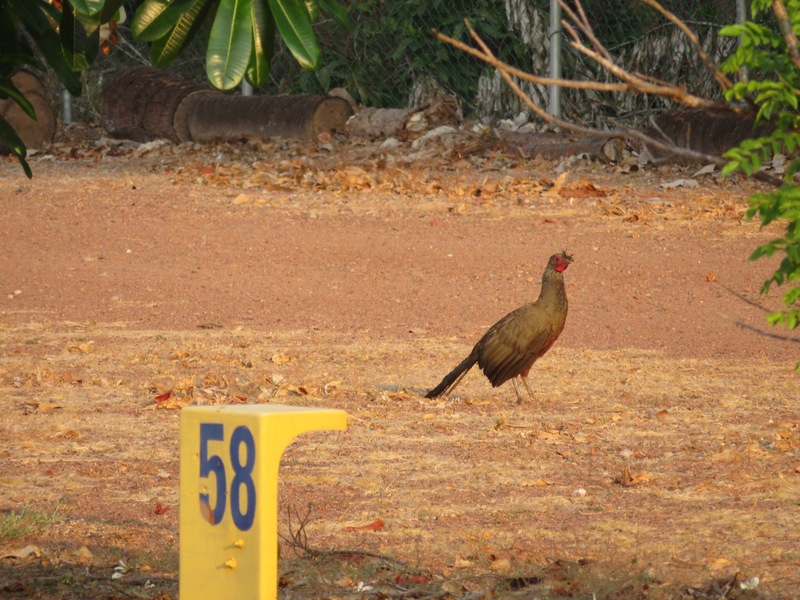 I visited the Oxxo for cold waters and to see if there is any formality to parking up out back. No problem the girl said, it’s totally tranquilo. I had the generator running to keep the pups cool and I joined them and called PJ on the phone. Afterwards, it was just a matter of killing time. I pulled in around 4:30 and wanted to wait and see the security guard show up and close the gate. Also was curious as to what kind of neighbors might be joining us. 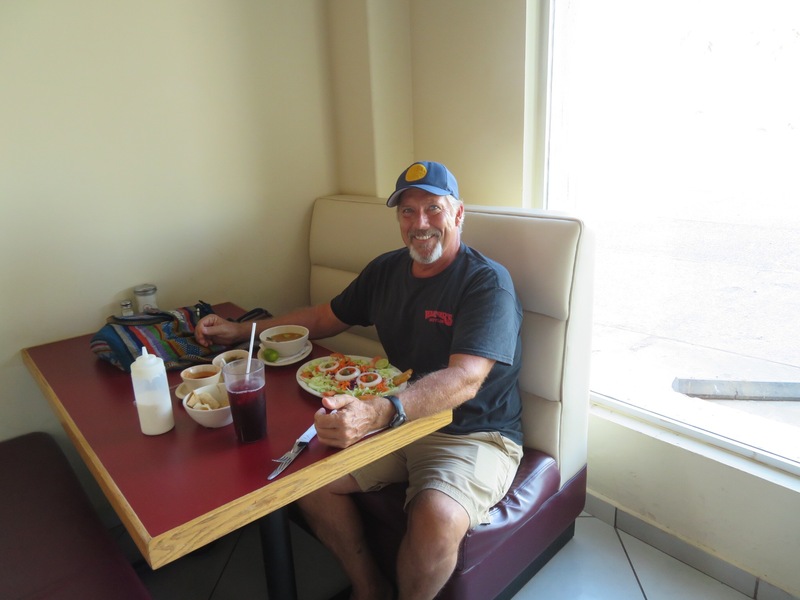 I went in to the Restaurant Elba and had tortilla soup and a salad. It was okay. They are famous for their giant milanesas, but I wasn’t feeling all that hungry. I was the only client for the evening. About 5 staff members and me. Wolfed the food down and went back out to the RV. Around sunset, we went for another stroll around the lot. Cut the generator and opened up the windows and door. One thing about camping in a truck stop full of rumbling, idling semis is that nobody’s giving anybody the eye for running their generator. Octavio, the guard showed up at dusk and closed us in. Six big rigs and me. 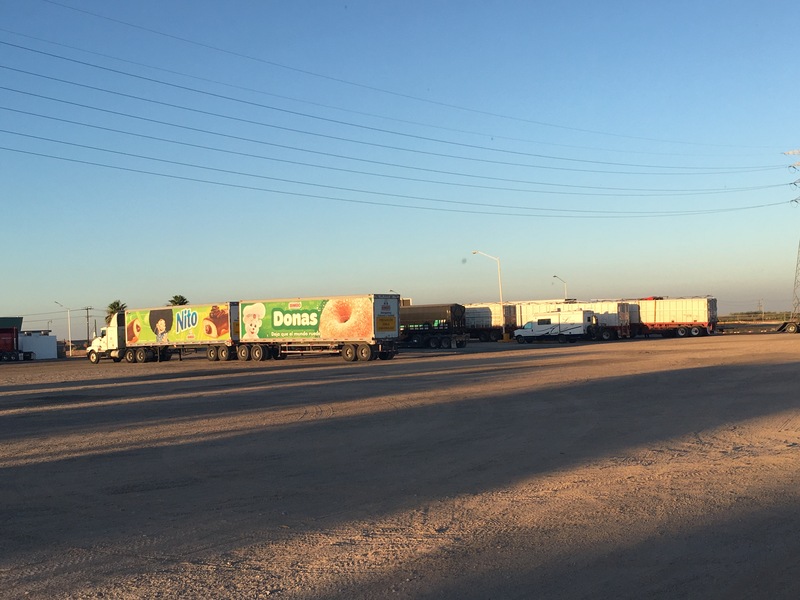 Place is well lit, the truckers I met were cool and the adjoining Pemex is open 24 hours. Feels pretty secure. Went back into the Oxxo for another water just to walk around. Closed us in, did some writing and looks like early to bed. Sweet Dreams my love, thank you for being so safe. Such Precious Cargo.